At the end of September, I got brave and decided to talk more openly about my story as a pediatric cancer patient and survivor. Since September is Childhood Cancer Awareness month, I wanted to do my part in raising awareness and sharing a REAL look at treatment and life after. 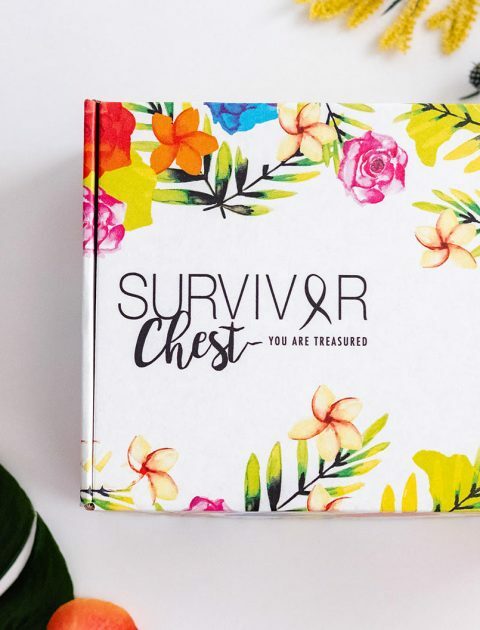 And yes, while I've written a lot about my experiences as a survivor here on HTC, talking about it face to face (well, with my face on Instagram Stories) was really intimidating. It's hard to relive those memories of my diagnosis, treatment, and life immediately afterward in such details and it puts me in a very vulnerable and sensitive state. But. That IS my story and even though it took me a . . . I nervously get into the passenger seat of our Ford Edge at 7:40 AM on a Friday morning and buckle myself in. I tell myself over and over again that I shouldn't feel so nervous, that there is no reason to worry, that this is my 12th year of going through this process, but I'm still shaking a little bit. It's hard to listen to logic, sometimes, when there's trauma telling you otherwise. Dustin drives. He talks about the plans for the next Jeep project and I try to focus on the words as much as I can. Slip Yoke Eliminator. Rear Leaf Springs. High Pinion Danna 30. All projects he wants to tackle this summer before we take out next trip to Moab, and all things that . 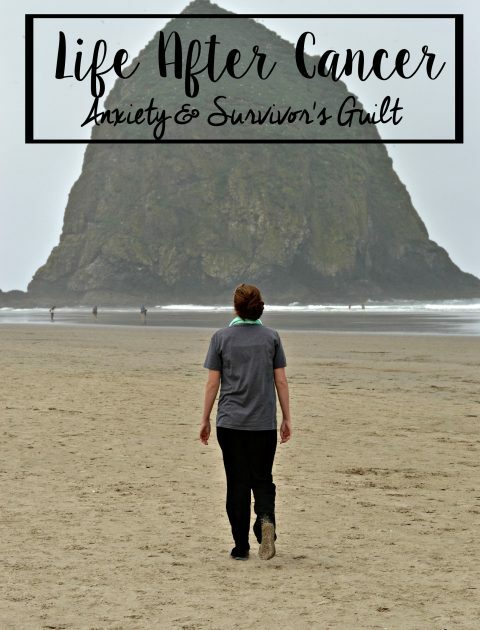 . .
About a year and a half I opened up about something that I rarely had talked to anyone about before: dealing with survivor's guilt and anxiety. It was a really hard post for me to write, but it was therapeutic as well. I finally felt like I was in a place in life where I could openly admit that I was dealing with those things and that there was no need to be ashamed of them. Last March, I opened up again and talked about how cancer complicates my birthday. For the last nine years, I have had a really hard time wanting to celebrate my birthday because the survivor's guilt was so heavy. I would find myself in a deep depression during the month of March and last year . . . Sorry for the heavy post today. I just had to get it out. I was one of the oldest kids on my hospital floor during the year of my chemotherapy treatment. My nurses and doctors kind of choose me to be the "welcome to cancer floor" ambassador because of my age. I didn't mind it at all; I was honored to be the roommate that they choose for new kids to talk to and hoped I could help by answering their questions about treatment and medicine and Make-a-Wish. That's how I met Maddie. They put her in my room during her first chemotherapy and asked if I would chat with her and answer any of her questions. I think she might have been a little freaked out about me at . . . I've been really experimenting with my personal style recently, trying to build a wardrobe that is 100% ME and filling it with things that I feel confident and beautiful in. At the same time, I'm still trying to push myself outside of my comfort zone and find new things to wear that help me embrace my body: scars and all. So, with my hot V-day date night approaching, I got to work trying to figure out what my Valentine's Day #ootd would be If you were to tell me this time last year that I would be comfortable wearing liquid leather leggings, I would have laughed and said something like: "Have you seen the shape of my left knee? There's no way that ugly thing would . . .
We made it to Arizona in one piece and with only a few minor setbacks on Thursday and have been unpacking and settling in since. We'll be getting internet installed tomorrow and I'm so excited to be able to get back to blogging. 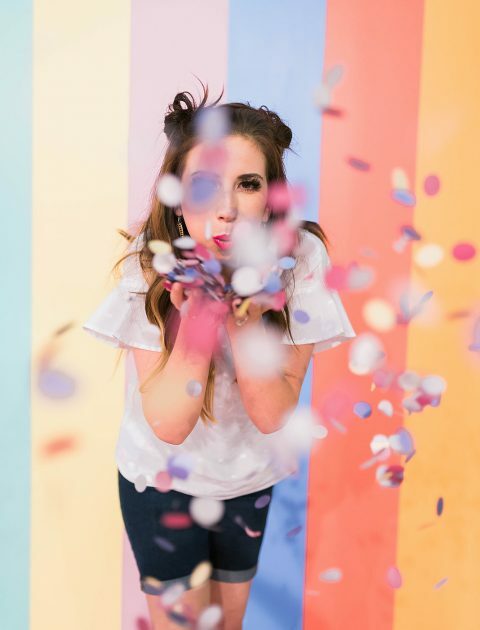 Today, my youngest sister, Katie, who has guest posted here before, is taking over again. 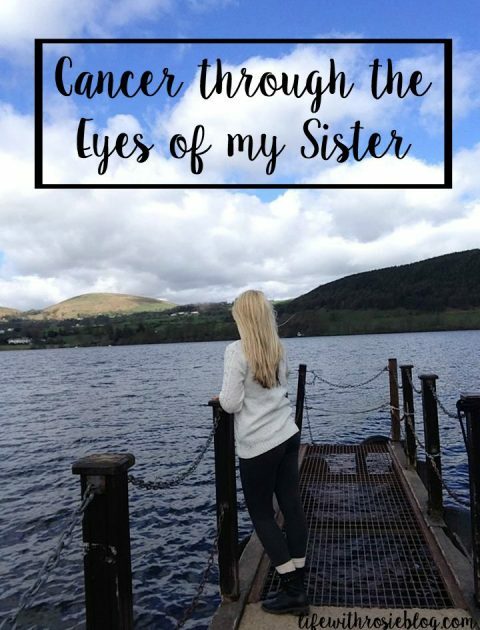 A couple weeks ago, when I wrote this post about survivor's guilt, Katie and I got to talking about how my cancer had affected her (she was 10 when I was diagnosed). We had a very long and beautiful heart-to-heart and I felt like the things she had to say were so important that I asked her to share them here. September is Childhood Cancer Awareness month . . . I've been debating sharing this post for the last week because it's super personal and it's raw and real and not entirely happy. However, it's been very therapeutic for me to write this out and after reading this post from Summer, I realized that I could be brave, too, and share what's been happening in my life lately. Two weeks ago, I went down to Boston to see my Oncology team at Dana Farber (If you're new here and need some catching up on my story, you can read about my cancer here, here, here and here). I had various tests, scans, x-rays and blood work done to check on my remission status. And I was officially declared 9 years in remission. My doctor said . . .
My Timehop has been full of Facebook posts and pictures from nine years ago when I was in the middle of my fight with Osteosarcoma. It's crazy to look back at those photos and to realize how sick I truly was. Being nine years in remission now, it's easy to kind of forget the details of that time and to block out the more unpleasant parts of my illness. 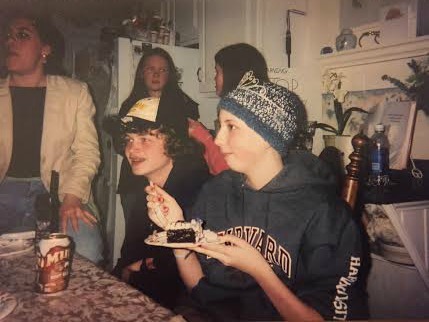 But, looking back at those photos of 16-year-old-me, I can't help but think about where I was and what I was going through and how much I wish I could go back in time and tell her that everything is going to work out. 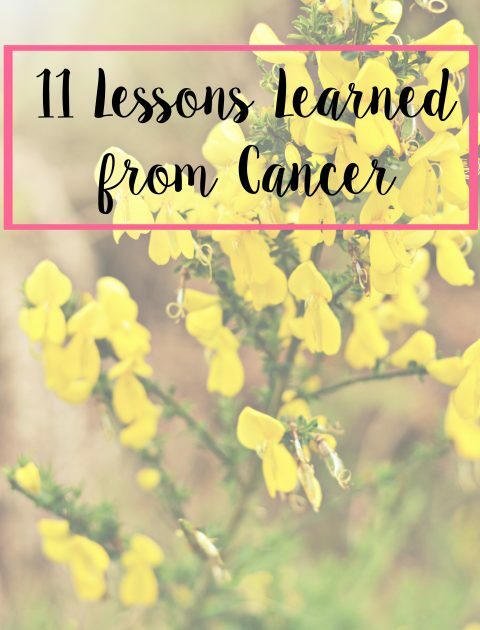 I've been thinking about what I would want her to know; what lessons I learned from cancer. . . . Many thanks to eShakti for sponsoring this post! I received a free product in exchange for my honest opinion. I finished my last chemotherapy treatment on October 16th, 2007, three months after my junior year of high school started. After undergoing inpatient treatments for the better part of a year, I was excited to have my hair grow back and regain a bit of normalcy in my life. I soon realized that there was no going back to "normal" after cancer. My whole life had been altered with this one word, this one tumor that had changed who I was and who I wanted to become. I'm not going to lie, going back to "real life" was much harder then I thought. I constantly was . . .